Van Cott, Donna Lee. 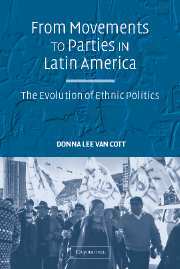 From Movements to Parties in Latin America: The Evolution of Ethnic Politics. Cambridge UP, 2007.